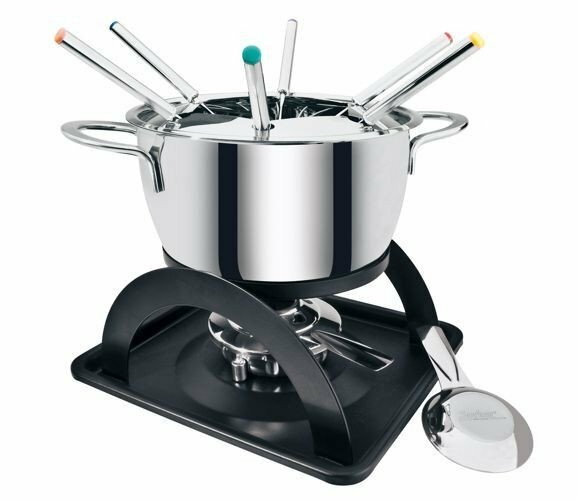 The Fondue pot of the set Zermatt is incl. splash guard in high mirror polished stainless steel and suitable for all kind of stoves incl. induction. The stand is out of black lacquered metal, incl. paste burner and 6 stainless steel meat forks.